The ST122HD4K 2-port 4K HDMI splitter lets you share two HDMI displays or projectors with an HDMI-enabled audio / video source device, such as a computer, Blu-ray player or cable TV set-top box. 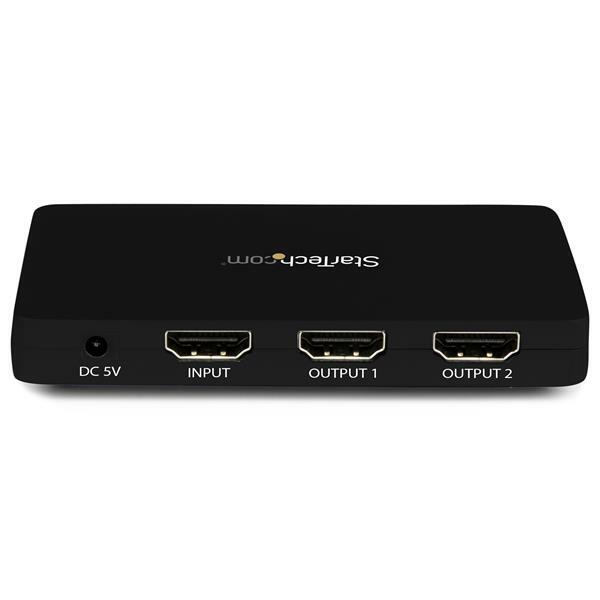 With support for Ultra HD (4K) the HDMI splitter ensures astonishing picture quality, four times the resolution of high-definition 1080p at 30 Hz. The 4K splitter is also backward compatible with previous HDMI revisions, supporting 1080p / 720p HDMI video resolution devices. Even if you don't require 4K video today, the ST122HD4K ensures you'll be ready to take advantage of tomorrow's display technology. 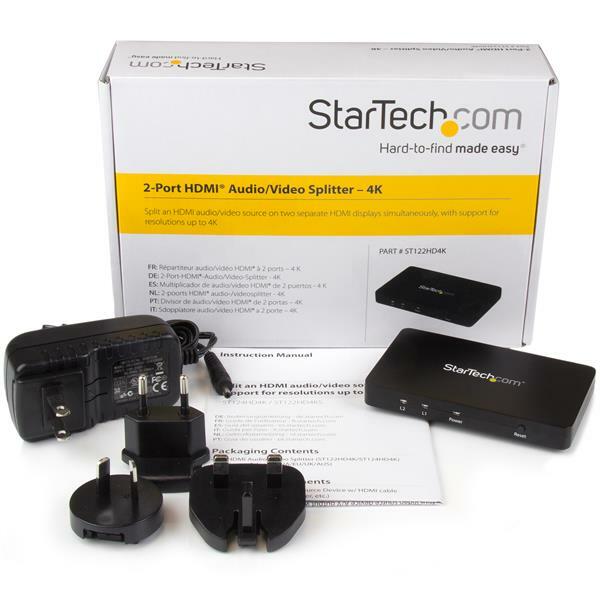 Save time while setting up your splitter with EDID emulation ensuring all of your native settings such as resolution and refresh rate are communicated between your video source and displays. EDID emulation maximizes compatibility with your 4K display, ensuring a convenient plug-and-play installation. 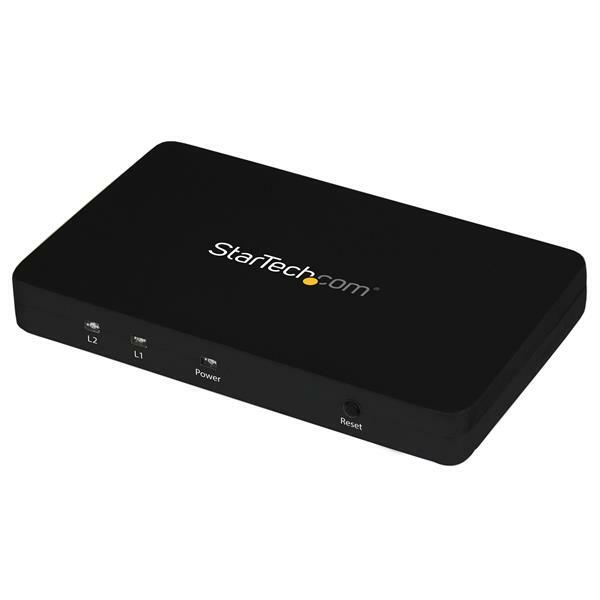 Constructed of solid aluminum, the HDMI splitter casing is heavy enough to prevent the unit from shifting or sliding around when you move the attached HDMI cables. Plus, the small footprint allows for seamless integration into any digital signage application. 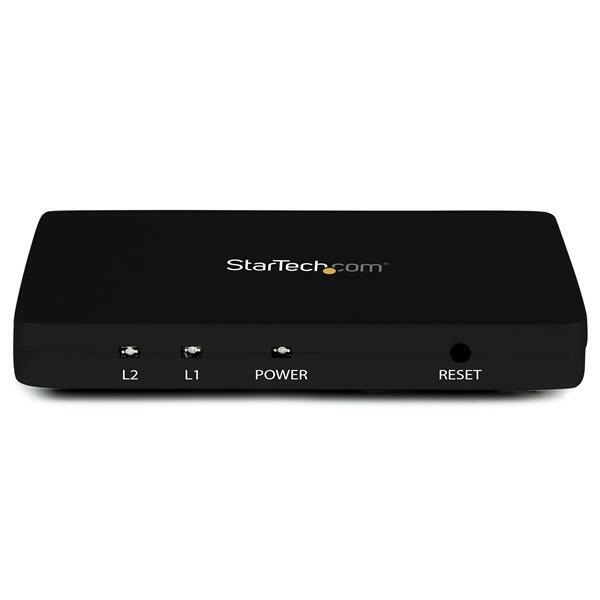 The ST122HD4K is backed by a StarTech.com 2-year warranty, and free lifetime technical support.